Felicia is no April Fool - get your Geek on Tomorrow! Earlier this week Felicia Day announced that she would be hosting a TEN HOUR GOOGLE+ HANGOUT MARATHON to promote her new programmes on her new YouTube 'Geek and Sundry' channel. With a whole new stable of shows in the pipeline there is bound to be something for everyone. AND it's a fundraiser for charity, too. 10:00am – Welcome to the Hangout! 1:00pm – LIVE Fan Art Contest! We want submissions from YOU – draw and win prizes based on chat votes! 4:30pm – LIVE DANCE BREAK and Fan Dance competition to Public domain songs! 8:00pm – LIVE Crowd Source writing “Geek and Sundry”, the one hour buddy drama. 9:50pm – GRAND PRIZE Giveaway!!! 10:00pm – ANNOUNCE CHARITY FUNDRAISER TOTAL – GOODBYE! Yes, it is April Fool's Day tomorrow but no, this isn't a joke. I mean, you can trust Felicia, can't you? She would never try and trick people*. With lots of audience participation built in, so many prizes to be won and a great line up I am curious to see how the Google servers hold up! * You know, I don't keep score or bear a grudge. But Rick Roll. That's all I'm going to say. Hopefully the companion book to Horrible 2 is being prepped even now! Wow, it's finally 2012 on this blog - the first post this year?? How does that even happen? It's fitting that this is a summary post designed to bring you up to date on some special projects. 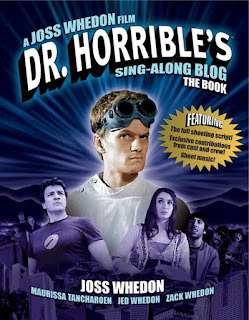 Dr Horrible 2 - out soon? 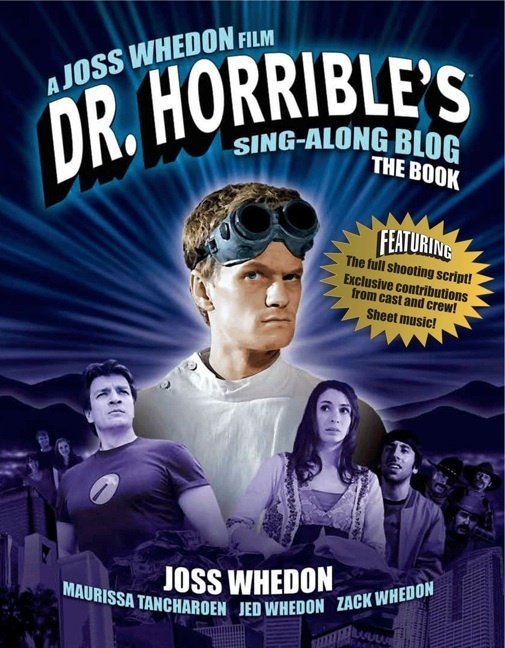 Wired.com and many other outlets have reported that Joss has hinted that it is possible that the sequel to Dr Horrible might be filming soon. Hopefully. If scheduling can be worked out. That's great news and certainly something to look out for. Husbands 2 Kickstarter off to a great start! Did I mention I was on a panel with Jane Espenson last year....? Anyway, the hugely successful (and very funny) webseries has just started a funding round on Kickstarter for Season 2 and they are already well on the way to raising the needed $50,000. Good luck to Jane, Cheeks and the team - I'm sure they will raise way beyond the goal in no time at all. But don't leave it to chance. Help fund them now if you can!